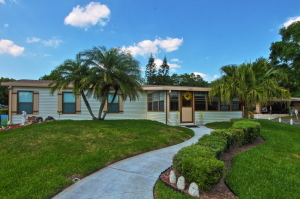 At Hyde Park – a 55+ community near Orlando, Florida – we have an excellent selection of mobile homes for sale. We offer homes in a variety of sizes, floor plan layouts, and prices, giving you the flexibility that you need to buy a home in the Orlando area that can accommodate your budget and retirement lifestyle goals. Our homes, which are all pre-owned, feature updated appliances, modern décor, central heat and air conditioning, and low-maintenance exteriors. Plus, we think that you will find the homes at Hyde Park are particularly affordable when compared to those at many other 55+ retirement communities. Our overriding goal is to make it possible for each of our residents to lead the quintessential Florida retirement lifestyle without having to spend a fortune to do so. Another major advantage to living at Hyde Park is, of course, being just a short drive away from Orlando and all of the exciting things that this major metropolitan area has to offer. Far from being an isolated community, we are just minutes away by car from world-class theme parks, excellent museums, international transportation hubs, professional sports venues, and more. Contact Hyde Park near Orlando, FL, today to inquire about the current availability of our mobile homes for sale.